We only work with organisations who partner for the common good of agriculture. 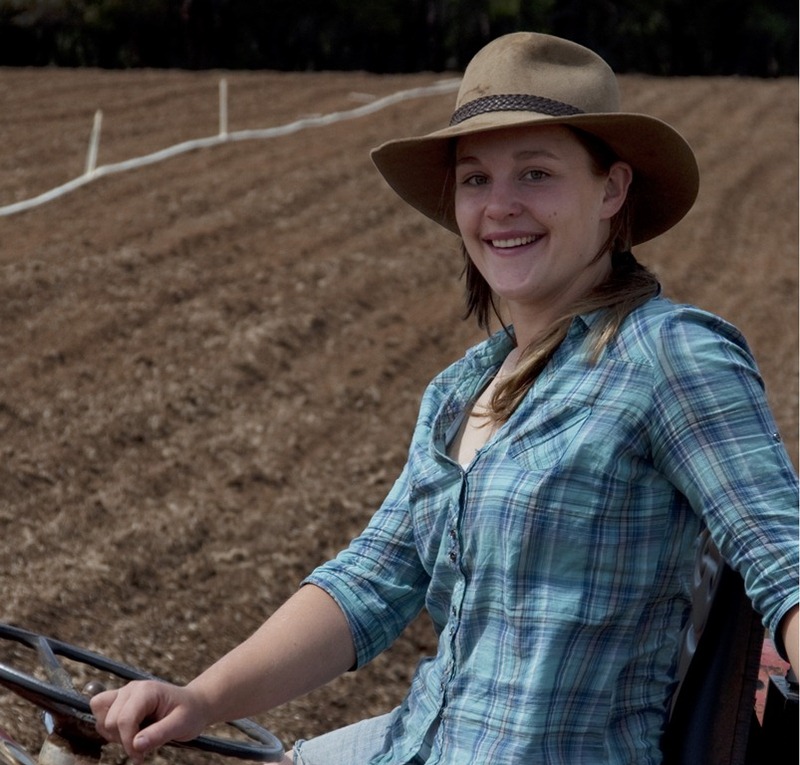 In 2011 RIRDC provided seed funding to get our Young Farming Champions program off the ground. What a watershed moment that has proved to be for the future of food security in this country. To me this award identifies outstanding rural women in each state of Australia who day-in and day-out perform with flare, dedication and success resulting in creating growth and well-being for their own businesses, their communities and organisations they belong to. Each winner has identified an exceptional community or industry good program they wish to undertake and the award provides them with funding and a support network to bring their vision to fruition. Having participated in a number of award processes I know there are many positive flow on effects. 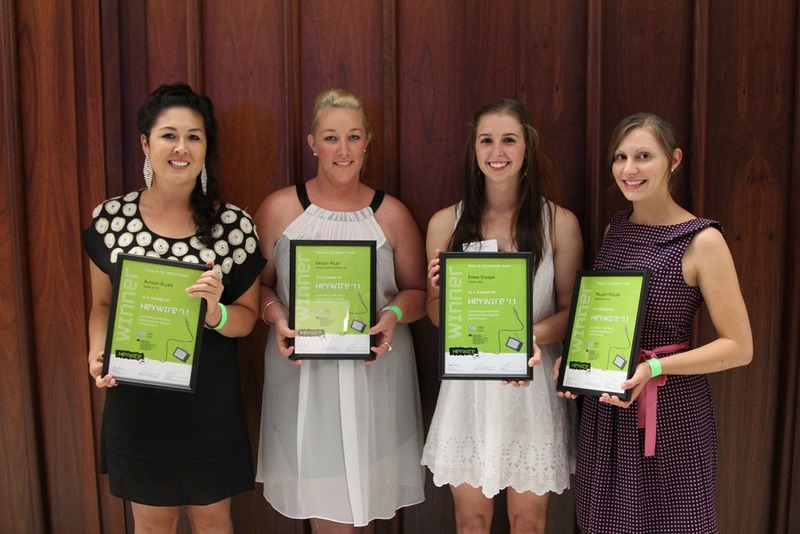 Art4agriculture have been awarded grants and contracts and our Young Farming Champions have received opportunities of a lifetime as a result of the attention focused on successful award entries. I’ve just been on the most incredible journey……. No it’s not Nepal, Cambodia or the Greek Isles, I’ve just spent the last 12 months being a part of the Rural Industries Research Development Corporation (RIRDC) Rural Women’s Awards process in Queensland. (It does go national) I am thrilled to say I am a finalist headed for a big interview process in Brisbane next month. This journey of self-reflection has really nailed down for me exactly why I have a fire in my belly about anything rural and remote and what am I going to do with it? 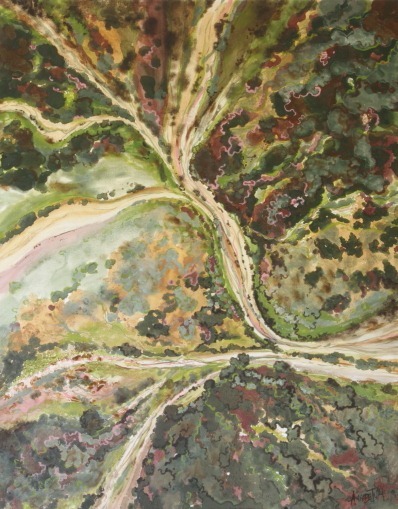 So a little on my background… I’m a woman (for starters), a wife, a mother, a farmer, a teacher , an artist and an advocate for our bush way of life. For many years I have put my hand up for anything that had a farming or arts touch to it. But what really keeps that fire burning, is the people, without us, there is no agriculture. Sounds pretty simple, if not, stupid, I know, but when we are confronted with all the pressures of contemporary agriculture…..environment, global food security, financial pressures of feeding and educating another generation… blah blah blah…. the people part of agriculture is something I am not willing to forget. Let me share this journey with you if I may be so bold as to ask for a moment or 2 of your precious time??? 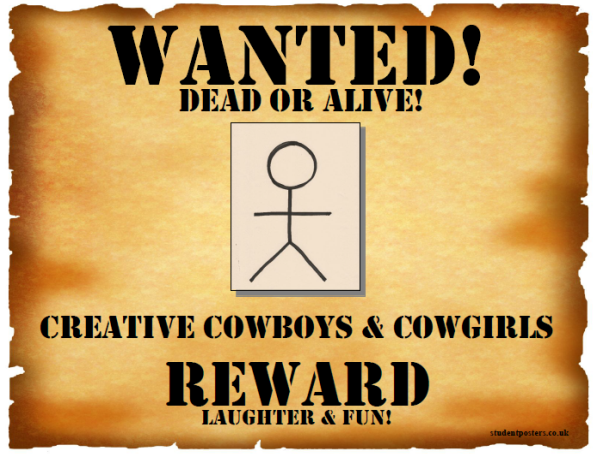 So my pitch for the Awards is a project I call “Creative Cowboys.” Come one, come all! I’m offering an opportunity for fun and laughter and a reason to connect with the person standing next to you. I plan to offer all-inclusive arts based activities for people living in farming communities – yes even those who can’t even draw a stick figure! The aim is to offer some respite for farmers, a no man’s land where we you may chat to the stranger next to you about not very much at all, and that’s the whole point. 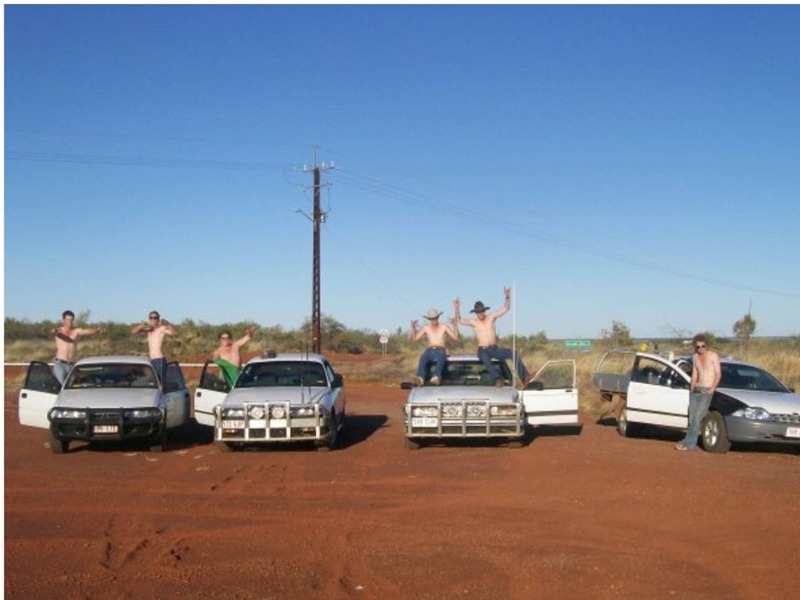 Bushies are a resilient mob, a humble mob, a sometimes quiet and unassuming mob. We are faced with many challenges, and this is what brings the enormous rewards and our determination to stay. We problem solve, more often than not, without the assistance of others. But without the people, there is no agriculture. So I aim to offer a little respite, a shady tent at a field day or rodeo, if you like, where friends, neighbours and strangers can come together and have some fun, a little calm before the next storm. Because if you are a bushie, you know what I’m talking about…. there will be a next time, not so far in the future, when we will need to band together for survival. Whether I am successful in my bid for the RIRDC Rural Women’s Award bursary for this project is not the end of this journey. I’ve already reached my destination. The process of simply applying for the awards has enabled me to realise what my skills are and how I can make a difference. I am clear about my role in this glorious life I lead in the bush. Are you? This is Joanna’s story straight from the heart……. Over the years my family have grazed both cattle and sheep and for as long as I can remember Dad and Mum have grown vegetables commercially. I used to spend weekends and holidays planting cauliflowers, weeding capsicums and pruning tomatoes, not really even realising at the time that I was gaining new knowledge and skills every season I worked. When it was time to look at a career path for me, I never really looked at a VET pathway in horticulture or agriculture as an option but now as I reflect on my Traineeship I can really clearly see how suitable training can not only make you “work ready” it can have such a positive effect on an individual’s life. Not only did I gain more practical skills and increased my knowledge of production horticulture but with my growing confidence I took on more responsibilities within the business (with fantastic encouragement from my parents) which included other things such as supervising and training staff and marketing. I was lucky enough to win the 2008 Trainee of the Year award at the WA Training Awards and with my prize money started my own little business which focused on growing smaller amounts of mixed vegetables for the local market. Not long after I formed a business partnership with my brother and together we now run Sunshine Produce, a production horticulture business in the South West corner of Western Australia. 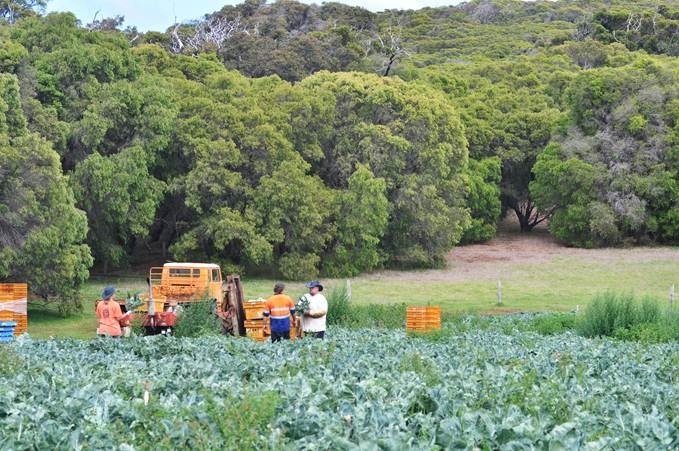 Based in the Margaret River region, we produce cauliflowers, tomatoes and pumpkins for the domestic Perth Market. I have still kept my interest in promoting local food and am always working to expand our local sales. And when I’m not harvesting, packing, irrigating, weeding, fertilising, working on the accounts, handling orders or sleeping, I am to be found working on a value added product that I’ve developed – a yummy pasta sauce using my own vine ripened tomatoes. At this stage it is just a small side project, but I’m hoping to see it grow to bigger volumes. 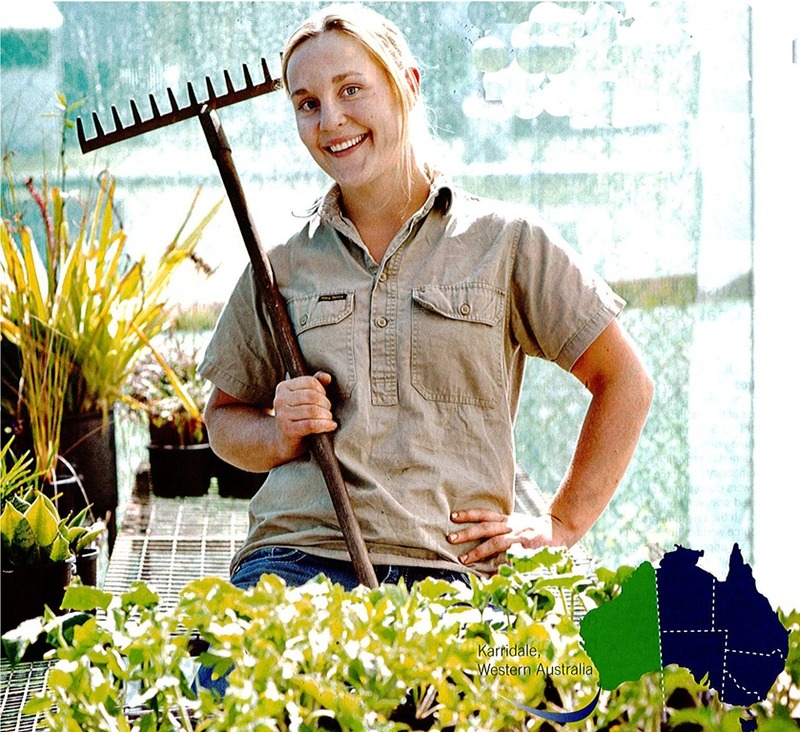 Back in 2008, I also got my training and assessing qualifications which enabled me to begin training other people in Horticulture at the South West Institute of Technology in Margaret River. I really see the importance in having clear and relevant training pathways available to young people in horticulture so that they can see where their training is taking them. And I also see the need for practical, flexible and no-nonsense training for my industry and I try to reflect that as best as I can in my training programs. I recently was appointed as an AgriFood Skills Australia Ambassador and it has been such a wonderful experience to be given the chance to represent my Industry at a National level. I have also really enjoyed spending time with the other seven Ambassadors who are from all across Australia and from all different Agriculture backgrounds and I can’t begin to describe how inspiring it is to be surrounded by these people who are so passionate about promoting Australian Agriculture and encouraging more people to become involved in such a fantastic and varied industry. Now don’t get me wrong, growing vegetables can be ridiculously hard work and is definitely not for everyone. During the peak season of January through to May I work seven days a week and with a busy harvest a twelve hour day is not unusual, and is in fact commonplace. 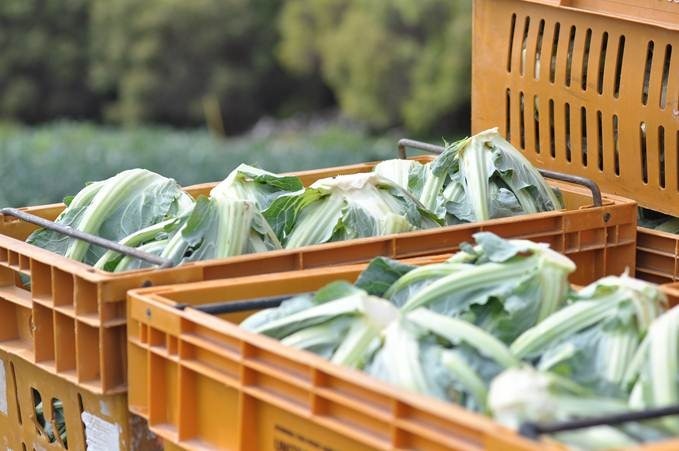 It can also be heartbreaking, we’ve had a whole crop wiped out by a freak hailstorm, complete plantings of cauliflowers destroyed overnight by rabbits and roos, it sounds dramatic but with vegetable growing a single day can make or break a season. But yet there’s something about it that I really connect with. I love the fact that I can grow quality, sustainable food for people. The satisfaction and sense of pride that comes with sending off a full truck of produce to the Markets. The fact that I get to work outside in one of the most beautiful corners of the world. The relief and burst of confidence when business decisions work out in your favour. The anticipation of waiting to see whether or not all your crop setup work has paid off. Even with its challenges, it is such an exciting and diverse industry to be a part of and I hope that in my own small ways I can contribute to the sustainability of the Australian horticulture industry and watch it grow from strength to strength. 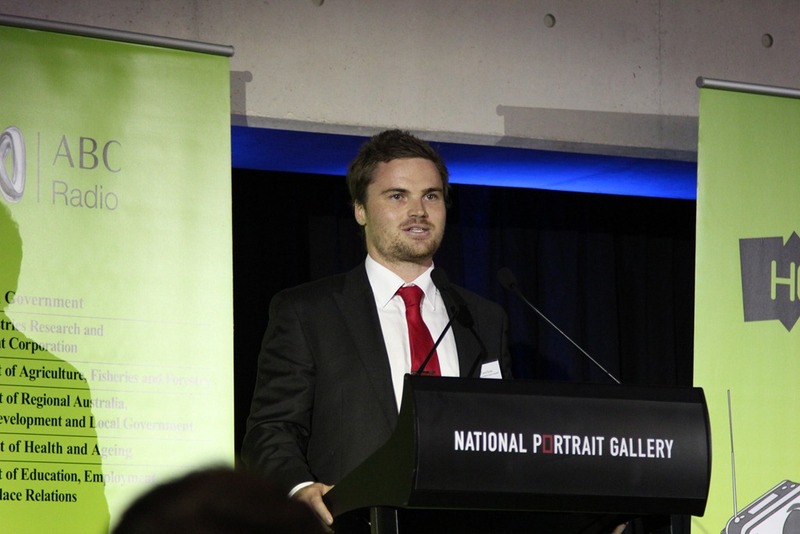 I had the pleasure of attending the Heywire Gala Dinner last night. 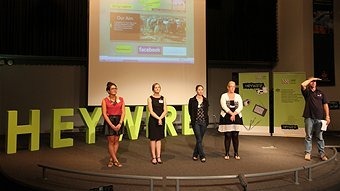 Art4agriculuture is a proud supporting partner of Heywire and Heywire of us. The relationship is a collaborative partnership that is as simple as cross promoting each others activities. One of the features of the dinner was a number of inspiring speeches from young people. They included some of this years winners like Alyssa Allen and Melody Pedler, former winner Naomi Gooden and Jack Black look alike Chris Raine the inspiration behind Hello Sunday Morning who said this last night “All you need is two eyes, two hands and your heart in the right place to make a difference” He is so right. If we really want to we all have the necessary body parts that we can mobilise to make a difference . Art4agriculture exists for young people in agriculture and provides them with the opportunity to make a difference in so many ways and they ARE and they can show you. 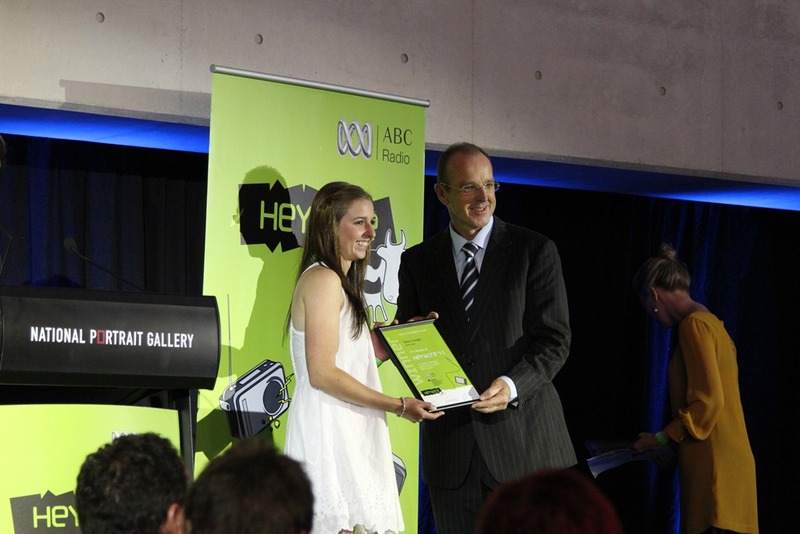 One of our 2011 Young Farming Champions Alumni Emma Visser was lucky enough to be one of the 35 young Heywire winners from regional Australia who travelled to Canberra for the week long Youth Summit . In their final job for the week, the group presented the big ideas they’ve been working on to their peers, an expert panel from different sectors, stakeholders and senior ABC staff. After dividing themselves into nine interest groups during the week, each group was required to pitch a concise idea that would benefit the community relating to their specialty. 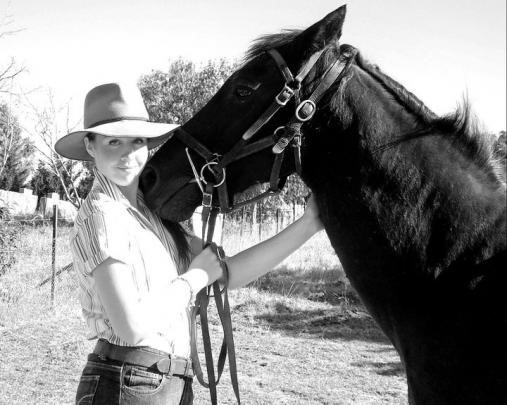 Emma Visser is a city girl who moved to the Illawarra region of New South Wales, she says it (AGregate) would help show people that you can make the move successfully. “I have a strong passion for agriculture and I’m not from an agricultural background. 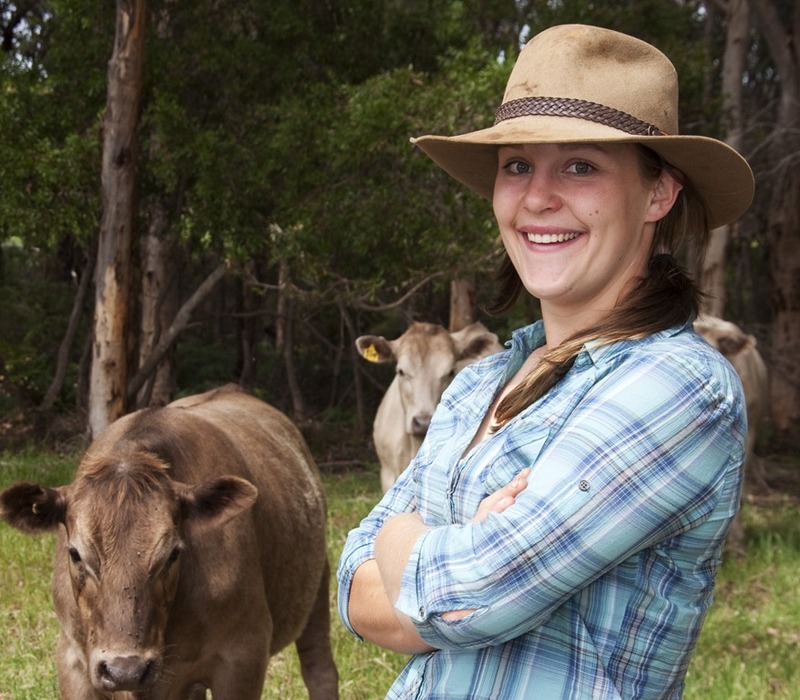 For me it’s important other young people get that opportunity, and Heywire has been a great way for me to show that even if you’re not from a farming background you can still get in to a career in agriculture”. Naomi Gooden a 2002 winner was especially impressed with Emma’s group’s use of a website. “These are innovative ideas using technology of today that Australians can connect to”. It’s a sentiment that would resonate with fellow audience member Chris Raine, founder and CEO of the website Hello Sunday Morning. Emma Visser says the week-long summit has given her skills she’ll be able to use later in life. “We’ve picked up a lot of things which have built our confidence to get up and put forward something we’re passionate about and do it effectively. “It’s great when I go in to schools and communicate with them because with my videos they can hear from me and see my job and what I do. If you are an Australian farmer you can make a difference by lobbying your peak industry body to invest in your next gen farmers. Now whilst industry may not be getting out there and telling its story the media is. Sometimes the outcomes are positive and too often they are very damaging. 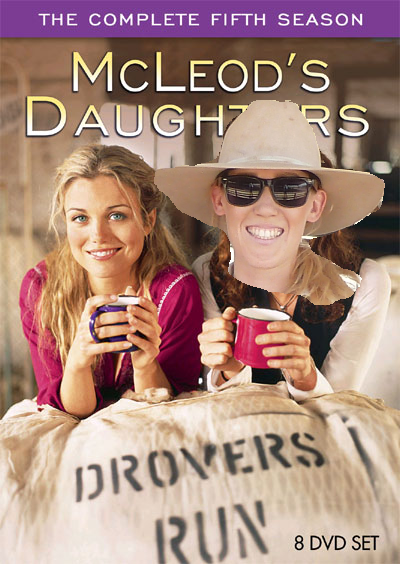 However there have been some very successful vehicles such as McLeod’s Daughters that captured the imagination and heart strings of many young girls particularly young girls who love horses and attracted them to agriculture career pathways. This is Stephanie Coombes story ……. 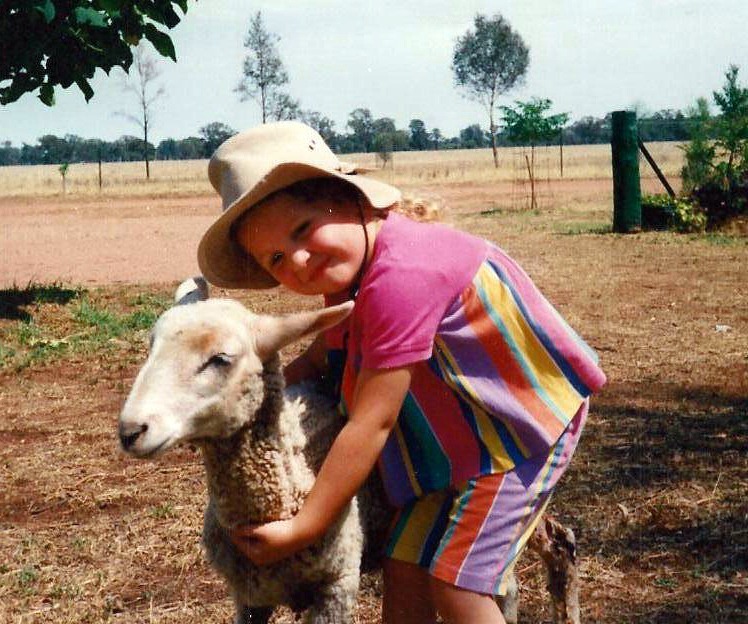 Some years later, I still have trouble explaining to people why this city girl chose an agricultural science degree. I think I thought I would end up working on a farm like “McLeod’s Daughters” (try not to roll your eyes!). I loved that television show growing up, and I would have to say it is what definitely sparked my interest in agriculture. Stephanie McLeod… could I be another illegitimate daughter?Mum, is there something you aren’t telling me? Going into the Agricultural Science degree, I actually had no idea what I was getting myself in to… as in NO idea! The reason as to why I chose that degree, and why I remained enrolled in it, are very different. Once I got into my degree, I discovered this whole other world, and I haven’t turned back since. 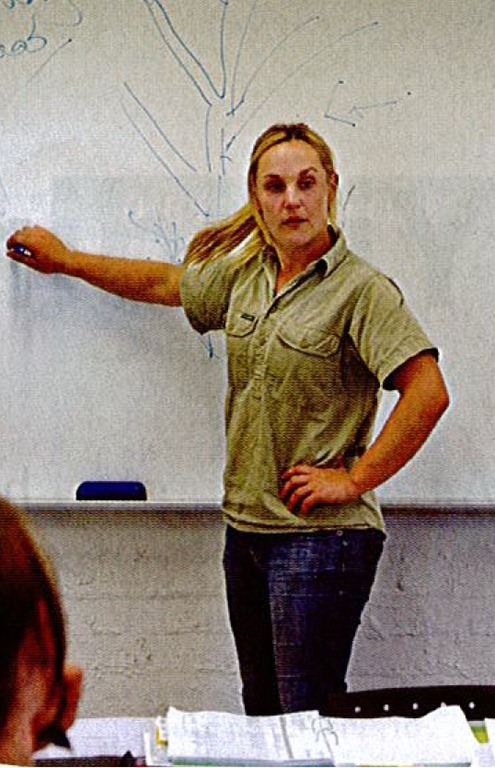 I thought I was going to work on a farm as a labourer, like in McLeods Daughters, but at uni I learnt about the science, business and technology which underpins agriculture. There is just so many facets to this industry I often got overwhelmed thinking about them all, and what I wanted to do when I finished. Initially I became really interested in soil science, and by my second year I was hooked, and odd as that sounds. I was a bit nerdy sometimes, because this was all new to me, I found it so interesting and I just wanted to learn it all. 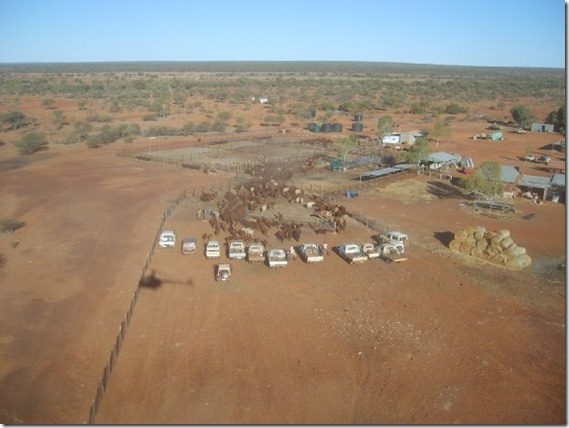 However, in the winter holidays of my second year I went out mustering to a cattle station in for their annual 6 week muster. It was then and there that I decided that beef cattle production was the area I wanted to pursue. However when I got back to university and took another class; pasture science, cropping system, grain marketing etc., I could easily imagine myself having a career in any of these industries. My interest in cattle remained strong, and that’s how I got to where I am today. Fast forward a couple of years, and I have graduated with first class honours, and I’m currently editing my thesis so it can be published in a scientific journal. I completed my thesis in the field of meat science. Yes, the science behind steak! I didn’t even know it existed until my 3rd year of university! Gosh, the amount of work that goes into producing and developing each and every one of the commodities and products available at the local supermarket is astounding. Meat science was something I had only had one lecture on before I chose it as the field of my thesis. The lecture wasn’t from my university either, my lecturer had invited a guest from another university to speak, and I am so grateful that she did! Completing my own research was an awesome experience, but to also be researching something I was genuinely interested in and passionate about… I know how I lucky I was. This certainly is not where I thought I would be when I was saying “when I grow up…” as a child, and needless to say my family are still somewhat confused as to how this city girl became mad about beef cattle! The things I have learnt and experienced throughout my degree, not to mention the places I have been and they people I have met, make me feel very lucky. I have been able to go to work/ university/ tafe each day and do something that I enjoy, and be a part of something that actually interests me. I love what I do, and I often joke that my some of my jobs are a “working holiday” because I enjoy them so much. Don’t worry though, there are days when I would rather stay in bed, but for the most part, I love what I do. 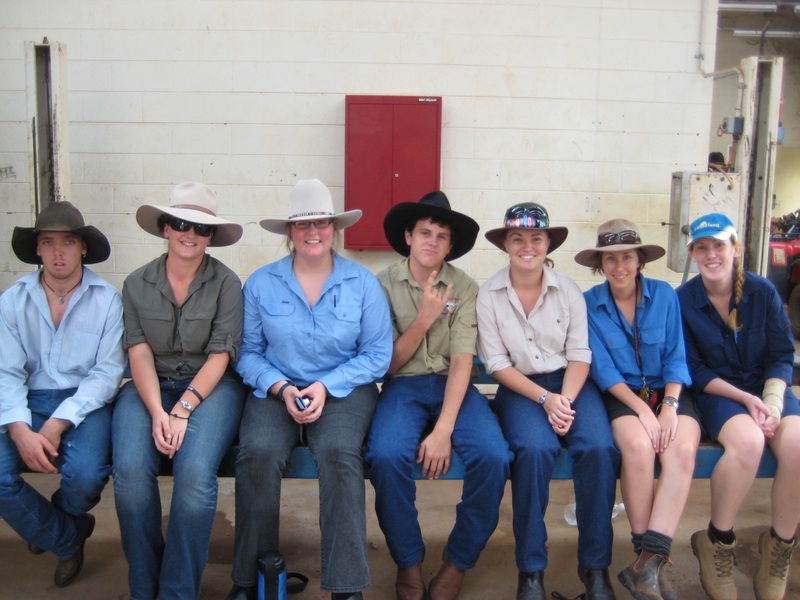 In 2010 I took a semester off uni and moved to Katherine, NT, to complete a Certificate II in Agriculture. I had spent 3 years building a solid foundation of knowledge based upon theory, and had done two mustering seasons, but I wanted to develop my practical skills and have them recognised with the certificate. Going to college was one of the best things I have ever done. It was not only an incredible experience to live away from home, and learn about beef production in a new environment, but I met my best friends through the course. It was also a really safe learning environment, as in we could all have a go at learning and not feel silly or embarrassed if we didn’t get it right. I was lucky to do the course with a really good group of kids, and as there was only about 12 of us, we were a tight knit bunch. Some of the KRC class of 2010 having a happy snap in the workshop during out mechanics class. We learnt a range of skills at college, from welding, mechanics and tractor operation, to branding, castrating and mustering cattle. The best experience for me though, was being able to work with show cattle, and take them to a rural show on display. I had only ever worked with commercial cattle before, and they aren’t the type that liked to be patted! Show cattle, are completely different, because you can lead them around like a horse. We not only led the show cattle, we brushed and bathed them, and played with them. 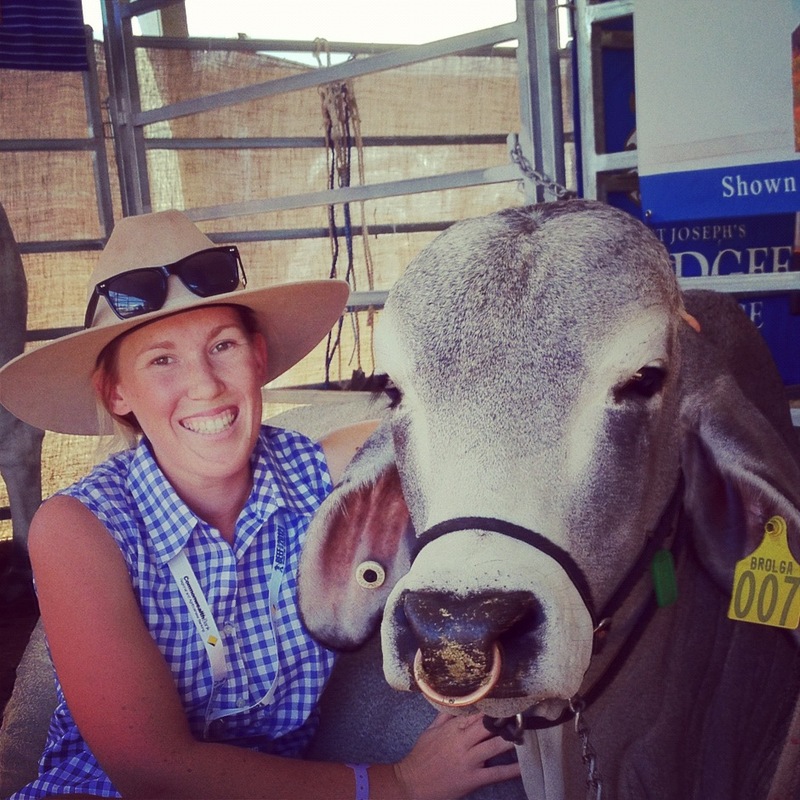 I really got the chance to learn about the cows up close and personal, and fell in love with the Brahman breed, even though I was showing a bull who was not too fond of me! Rambo and I having a stand off. I had Chris as my protection, but maybe he would have been better placed between Rambo and I!! Luckily Star was much more of the cuddly type! In the second half of 2010 I then moved to Gatton, Qld to do a semester of classes through the University of Queensland. UQ had really different classes to my uni at home, and they were way better too! I took specialised classes in animal biosecurity, animal health and diseases, and animal biometeorology, which is about how animals interact with the weather. I also took a grain marketing class, as I mentioned above, I still had interests in other areas of ag. Animal biometeorology was by far my favourite class. Again, I suspect my inner nerd is to blame, but I loved all of the practical classes, and doing research for my assignments. Living on campus was a great experience too, it’s how I met the rest of my best friends! The people were great, and no one cared that I was from the city! 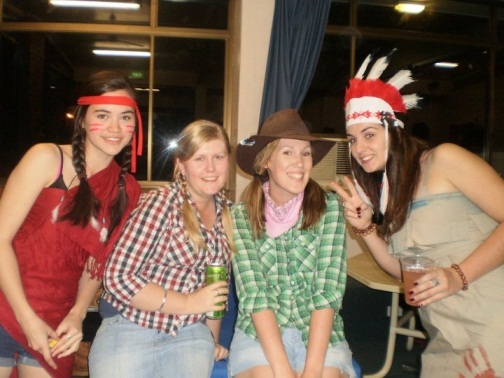 Dressing up as a cowgirl for a “Cowboys and Indians” themed party on campus. Even several years later, I was still trying to play the role of a cowgirl! Everywhere I have been I have learnt something different about the industry, and learnt how interconnected it is with the way our society functions on a day to day basis. I am continuously surprised by how innovative and technological the industry is, and what role Australia plays in feeding the world. 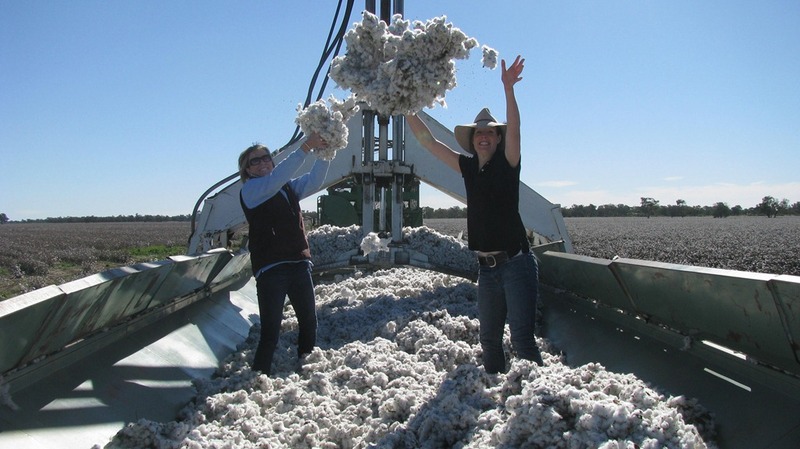 My advice to anyone thinking about getting into agriculture is… do it! We need you! The world needs to feed 50% more people by 2050, and as Australia is one of the most efficient food and fibre producers in the world, we will play a fundamental role in that. People need to eat, and Australia has the ability to feed the world in a clean, green and ethical way. No matter what experience you have, or what your strengths are, there is a role for you in the industry. 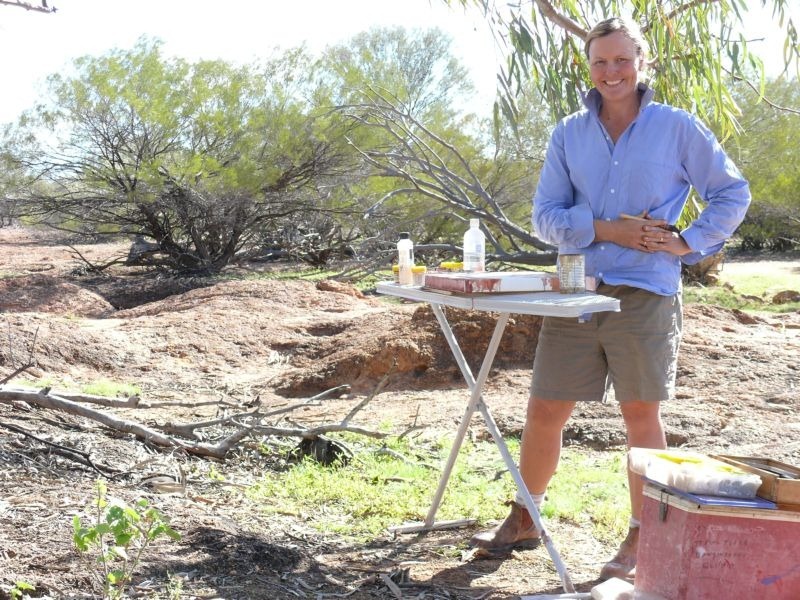 The agricultural industry offers careers from the boardroom to the bush, so no matter whether you are more comfortable behind a motorbike or a microscope, there is a role for you! When you meet Samantha Townsend from Central Western New South Wales, you get the feeling that the future of Agriculture in Australia remains in safe hands. 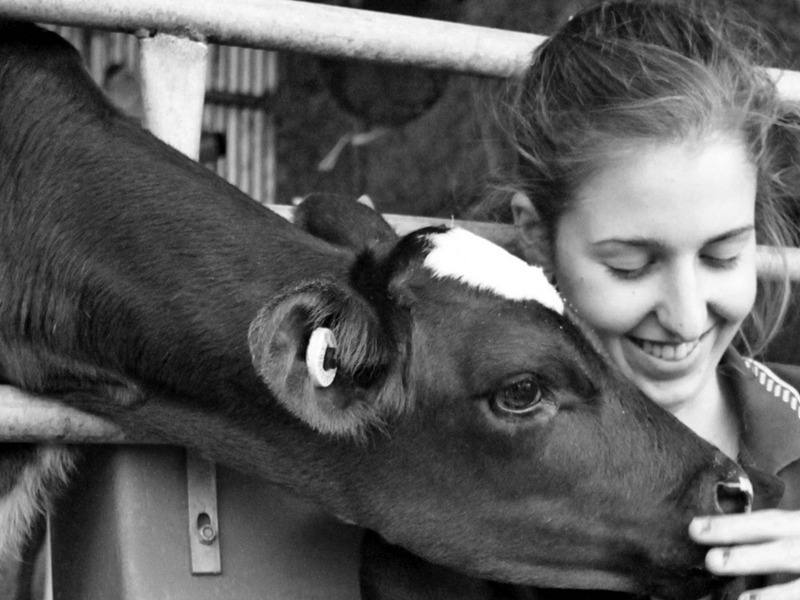 Sammi has made her presence felt through her passion for a future within Agriculture, and her mastery of the social media network. This is where so many have been acquainted with Sam’s dream, to win a scholarship to the CSU, through the Ultimate Experience Competition. My name is Samantha Townsend. I have not long turned 18 years of age and have just finished Year 12 at Blayney High School. I live in a small village on a hobby farm, in Lyndhurst, Central West NSW. It is only a small village of approximately 300 people with a small post-office and a hotel. Our big claim to fame though is nearly being chosen as the site for the capital city of Australia before they picked Canberra! I for one am glad they picked the current site of Canberra… I love waking up to the view of the green rolling hills of our area! My family lived for many years on my grandmother’s property just of Blayney.We had sheep, cattle, Boer goats and also horses, and that was enough to kick start the passion I have for agriculture! My Nan and Mother were determined I was going to love horses and I was placed on them from a very early age! I used to help show my Nan’s miniature horses at the local shows and gymkhanas. My grandmother was a real ‘bushie’ as she called herself. 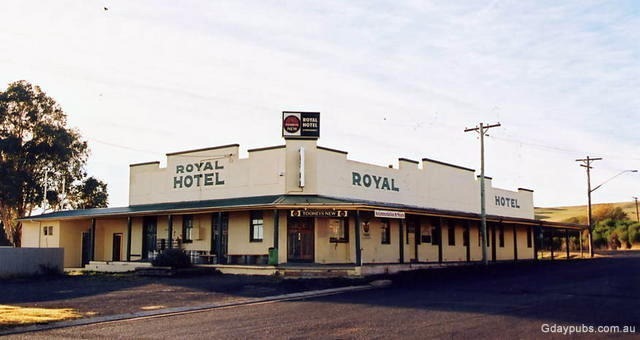 She was born in Condobolin but grew up around the Trangie area as a youth. My Pop often said she could work harder than most men he knew when it came to working around the farm and she was a renowned horsewoman in our area! My Nan passed away in 2007, but she certainly left her legacy with me as far as igniting the love of the land I have. My Pop was also a big influence. Growing up as a young child I used to love visiting his property near Tomingly, NSW. Pop ran sheep and I used to love to go up there and help him at shearing time, when Mum would go up and do the cooking at shearing time. Unfortunately Pop suffered the fate a lot of farmers do and his back got too bad to continue the work he was doing. He retired up on the mid-north coast years ago, but inland Australia has called him back, and he’ll soon be returning to live near us permanently (albeit, not farming however). The local area I live in is predominantly mixed farming with sheep, cattle and grazing enterprises. I have always been keen to help out around the place and when you’re a local, there is always plenty of rouseabouting, or general farm work that you get offered.I love to help out with own small flock of sheep and am often ‘mother’ to the poddy lambs that get sent our way! 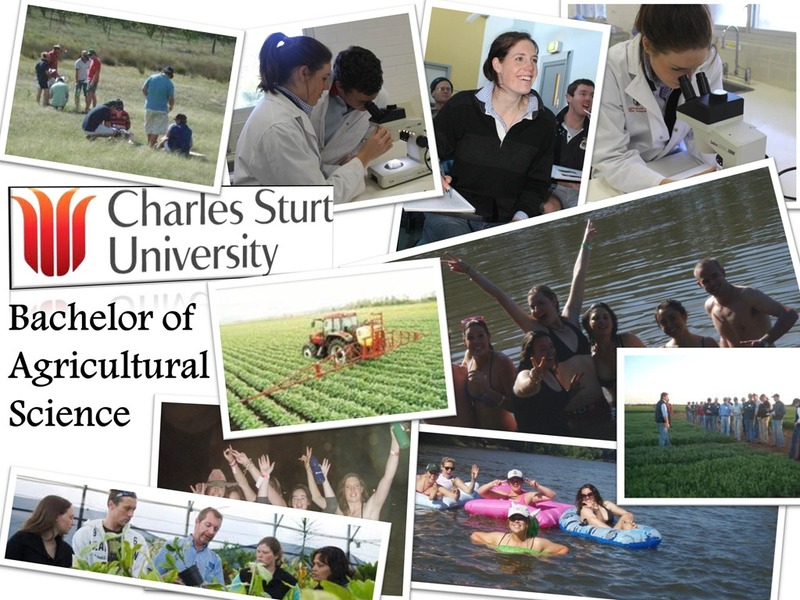 I am about to enter University this year, heading off to Charles Sturt University in Orange, to study a Bachelor of Agricultural Business Management. In our HSC year there were only three of us sitting the HSC for agriculture. I find it incredulous that in a wonderful rural area such as ours, that the course is not attracting more students. The wages of the mine in our area look very attractive to many younger people (and older ones too), but it is more than that. We need to encourage people into the agricultural industry and help them realise it is not only a viable career, it is a wonderful lifestyle as well! I truly value our rural community. We do live in an area where we are not shut off to each other and people genuinely care! One of my best friends from school was diagnosed last year with a horrible disease called Creutzfeldt-Jakob disease. The whole community has been wonderful with fundraising and helping the family. I know total strangers who have helped that have not even known my friend. This is what living in a rural community is about. My little brother attends Lyndhurst Public School, which had about 31 children last year. My little brother who is 11 has Aspergers, ADHD, Dyspraxia and Anxiety. This little village school has given him such a sense of self-esteem and has helped him grow and learn to cope with his disabilities. He hasn’t been a number, he has been a valued school member. My family and I try to do a lot for the school through P&C fundraising etc. We know how lucky we are to have such a little school with such dedicated staff not only for my brother, but also for our community, and it’s important to do everything to ensure it continues to be here for future children! Where else but small country schools do you get to experience things such as planting vegetables and then eating your produce or playing football in the school oval and incorporating rules that involve ducking from the diving plovers! I love that pets like chickens and rabbits can be brought to school for news or the family dog ends up in the playground looking for its owners. 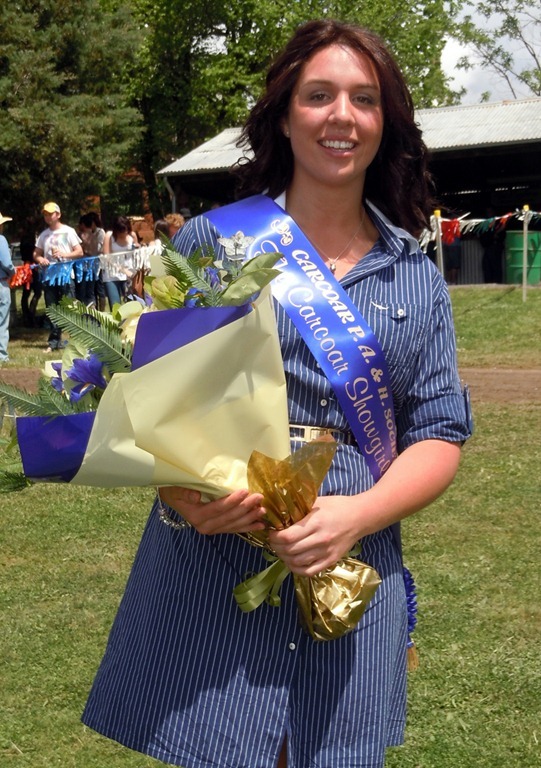 I was honoured in October of last year, to be made Miss Carcoar Showgirl and am heading off to the next level at February. Our wonderful little show attracts people far and wide for the many horse events and the shearing competition. It is truly a traditional little country show that attracts people young and old alike. 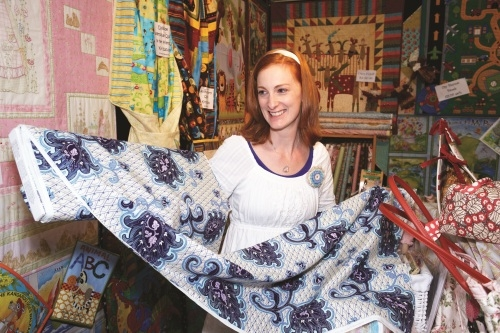 I love walking through the art and craft where items such as beautifully handmade patchwork quilts hang adorned on the walls, or seeing little children’s noses pressed against the glass of the windows at the scrumptious looking cakes from the cooking section. 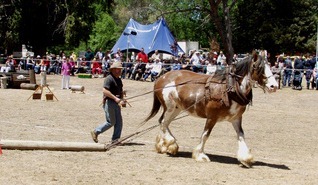 Where else but a country show would you have a draught horse pull more than the weights that were available, so people had to volunteer to come and sit on the loads (and be honest about their weight) so the competition could keep going! It is a day of laughter, chatter, and again, that wonderful rural spirit. People get to glimpse a snippet of this at the Royal Easter Show in Sydney, but we are privy to it all the time, and I rejoice in the sense of community that it is all about. 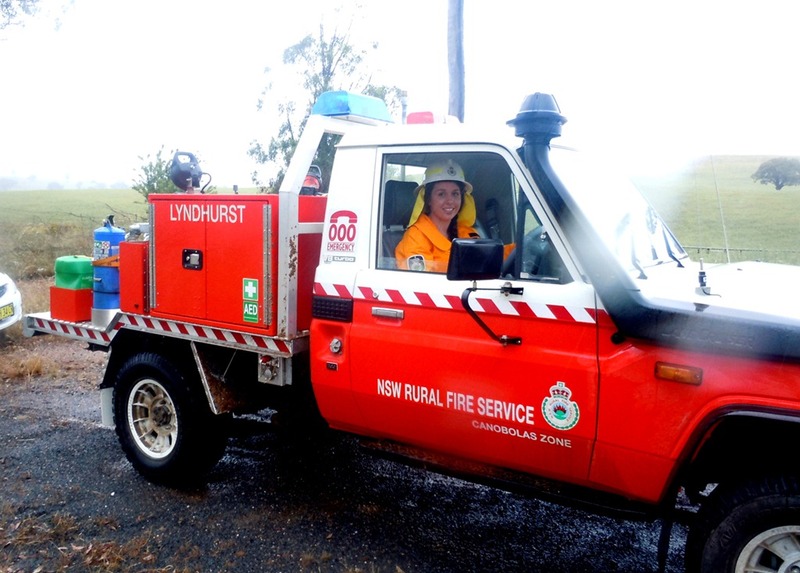 I also am part of the Lyndhurst Rural Fire Service. We meet and have training days and it turns out to be a social outing for everyone as well. Again as part of the community, we are there if others need us. What I am trying to explain is, although I am not from a huge farm or station, you don’t have to be to have the passion for what rural communities offer. To keep rural communities going – agriculture plays a big part in that! We need to keep young people interested and passionate about careers in agriculture and a rural lifestyle so we can keep little communities like mine alive for future generations to experience and love. I hope by going to University and staying in a rural area, I can learn the necessary skills and help to produce positive outcomes not only for farmers and agricultural industries, but also the rural communities like mine. My experience isn’t vast or magnificent, but by sharing my hopes and visions, I hope that I might connect with another young person and perhaps ignite that little spark of passion that exists inside and encourage them to venture into agriculture too. They would be helping not only the future of rural communities, but Australia’s future as well, after all it is farmers that feed the world! Personally, I am excited to know that I am going to be part of Australia’s agricultural future! “Vision without action is a dream. Action without vision is simply passing the time. Action with Vision is making a positive difference.” Joel Barker. Recently Victoria Taylor asked in the Flourish Files AgScience and the Shrinking Work Force “Why can’t we retain students in Agricultural Science courses?” Victoria suggested that one of the reasons was the lack of clarity about the highly diverse careers in agriculture and if a student decides at the end of first year that they don’t want to be an agronomist or farmer anymore, how do we let them know there are a number of other career options open to Agriculture Science graduates? This blog post has been adapted from the presentation Hollie gave at the Careers Advisors Conference in Liverpool, Sydney in November 2011. The answer is – anywhere you chose! I couldn’t be happier knowing that I have a strong future in agriculture. 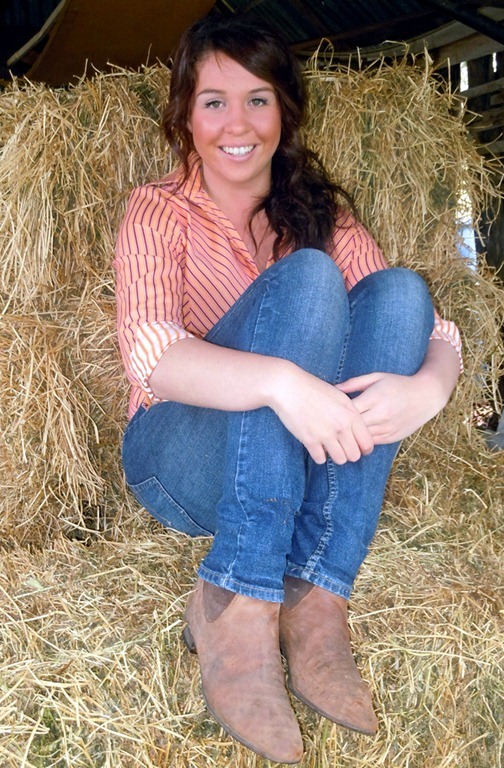 I think that most people have the perception of agriculture as being a male dominated industry. To put it simply, the Agricultural sector wants females, they are encouraging us and they are employing us and more and more I see no hesitation when a woman enters a room looking for a job in agriculture. 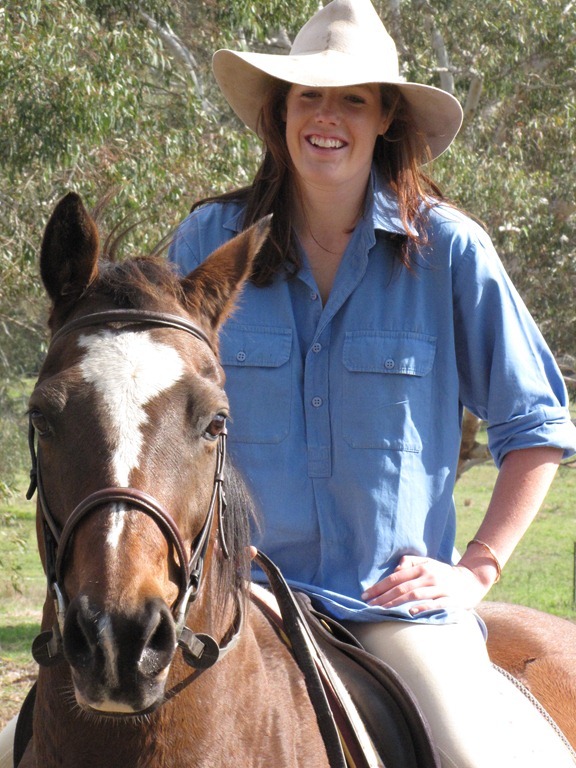 I am currently working in Sydney for the Australian Year of the Farmer, I am the Chair person of the NSW Young Farmer Council, I am an ambassador for Agrifood Skills Australia and I am a Young Farming Champion for the Art4Agriculture school programs. I grew up on a small property in Exeter, in the Southern Highlands only a couple of hours south of Sydney. Here we had cattle, sheep, goats and for a time – meat rabbits. I have always been surrounded by dogs, horses, ducks and geese, chickens, and more often than not I would have a lamb or kid close on my heels thinking I was its mum. I went on to study Agriculture at high school by correspondence as one of my subjects for the HSC which gave me just a taste for what was to come. 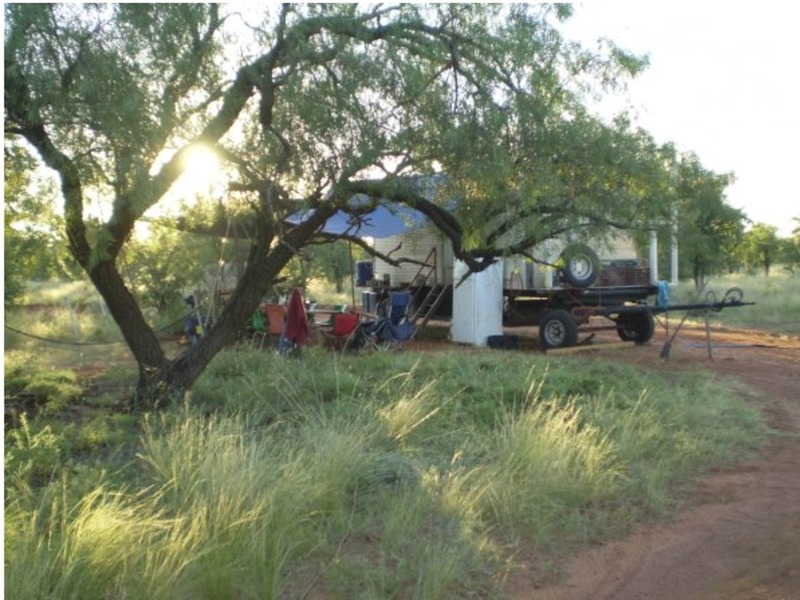 After school I took a year off from study so after travelling to India, the UK and parts of America I started the season in the Northern Territory on a cattle station called Newcastle Waters. 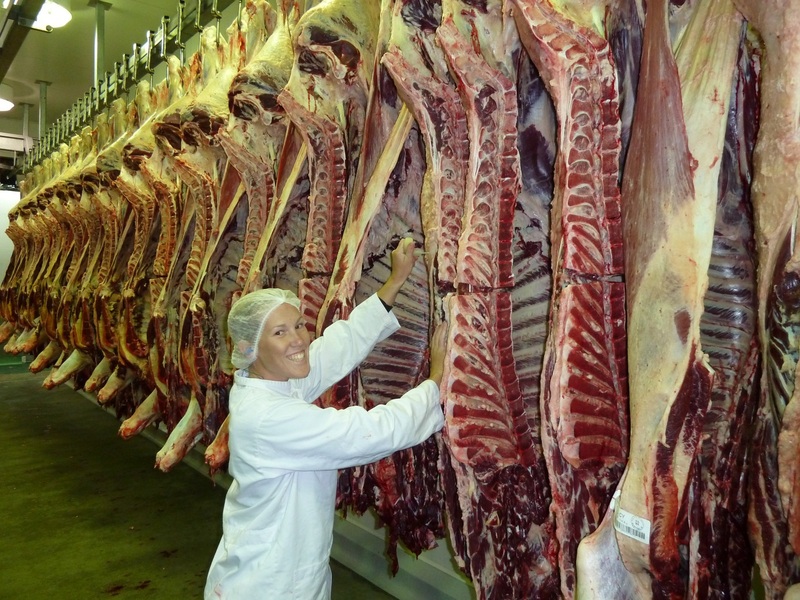 The station is 3.5 million acres, holding 50,000 commercial cattle and 5000 stud cattle. Newcastle Waters was special to me because my grandfather had once owned it. The fact that I was there, where my grandfather had been meant a lot to me, however it didn’t really help me adjust to the work ahead. Dare I say it but most of the men had more ego than brain. This gave me a challenge. I didn’t know what I was doing, I wasn’t rough and blokey, I was tentative, shy, and most of the time I was just nervous I was going to mess it up. 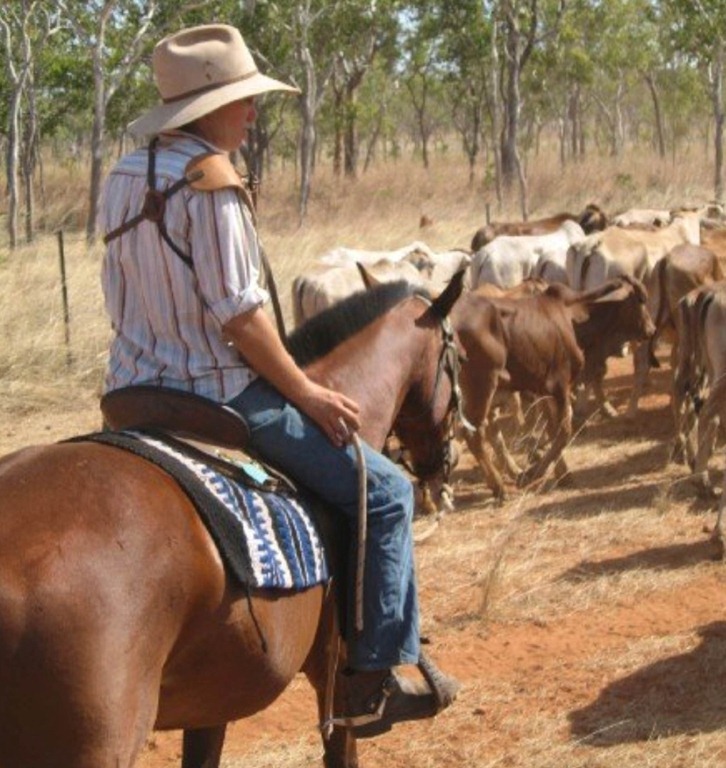 During the day we were on horse back mustering the cattle from their paddocks to the yards. This was a full days ride and at the start of the season we were up at 3.30am, in the saddle by daylight and walking the cattle in until 10 or 11pm at night. It was blistering hot, my lips doubled in size and my hands peeled from sunburn. We were tired, thirsty and so too were the cattle. 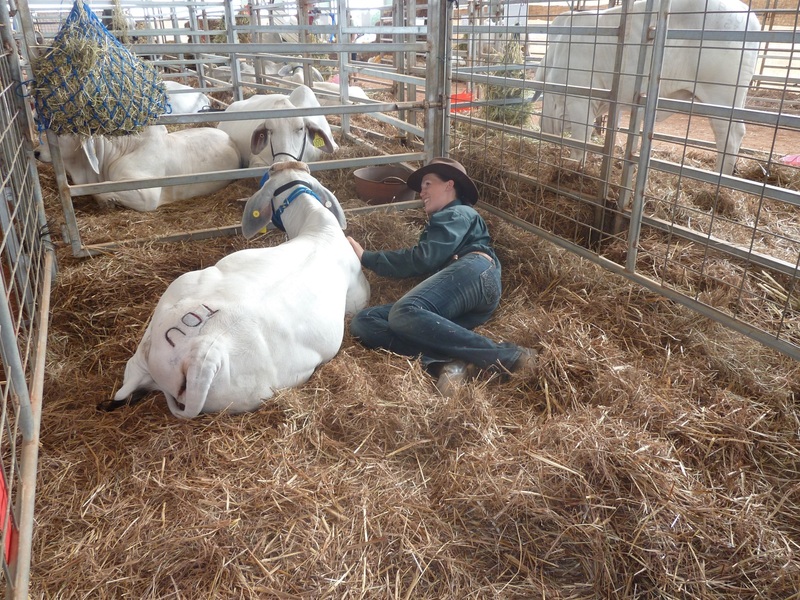 The next day would be a day in the yards, sorting, culling, weaning and pregnancy testing. Another long dusty dry day and then we would turn around and do it all again the next day. I don’t think words could explain exactly what it was like. As I said it was a challenge. I had one thing on my side in that I could ride. There were some jackaroos who had never ridden a horse and I’ll tell you they learnt pretty quickly. In this environment particularly, a purely physical environment, as a girl you have to prove yourself. A couple of months in I was gradually doing that. At one point I was the only girl in a camp of 10 guys; once again it was a challenge. But I persisted, there was no way I was quitting and by the end of the year, I had gained lifelong friends and I didn’t want to leave. However it was time to move on and I started a Bachelor of Agricultural Science at Sydney University and later transferred to the same course in Wagga. When I started uni I gave myself choices. I also signed up for the Army Reserve. I knew I loved agriculture but I didn’t know where I could really go with it and I had always been interested in the Army so I thought if I do this and if one doesn’t work out, I have options. I loved being involved in the reserves and I always felt proud when I put my uniform on, but in the end Agriculture has taken me on and it’s consumed my life really. I think that there are a lot of links between the sort of people that are in the army and those in agriculture. In fact during the interview process they loved that I had a rural background. They mentioned it couple of times that country people can often do very well in the army. 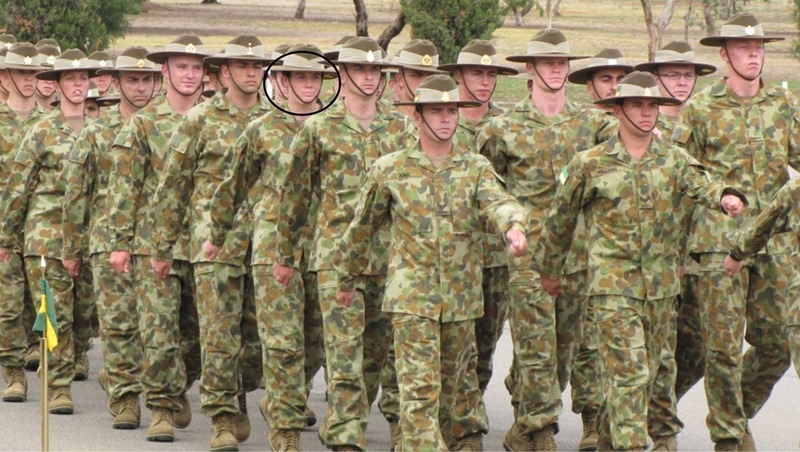 Apparently it’s the practical nature and easy going personality that really works in the army. My involvement in the wider agriculture industry really began when I signed up to the NSW Young Farmers Council late in 2009. 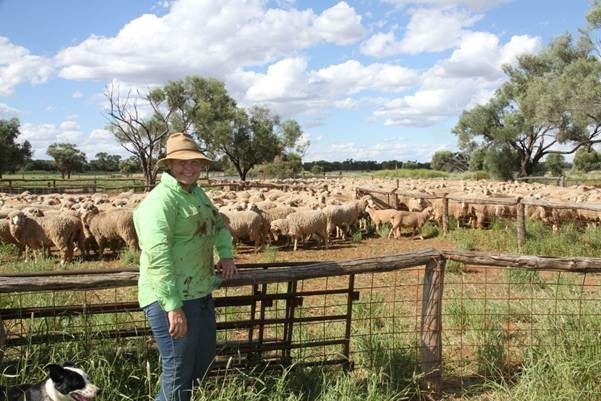 It started with just a phone call to see how I could be more involved in the NSW Farmers Association and from that I went along to the leadership forum. It was fantastic and in 3 months I became the vice chair and in March this year I was voted in as the Chair of the Young Farmer Council. 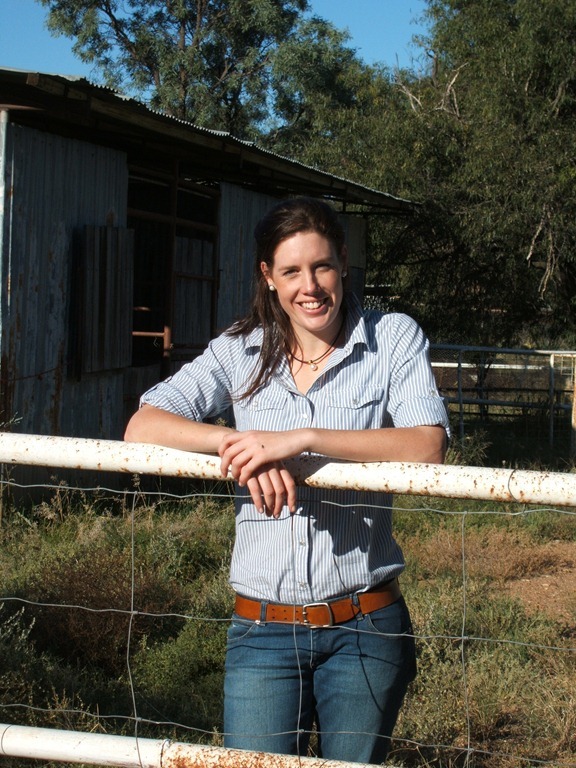 It all happened very quickly and I have no doubt in my mind that I would not be where I am and I would not have had the opportunities that I have had if it wasn’t for the NSW Farmers Association and our Young Farmer Council. We need practical people who want to be hands and the vocational educational training (VET) courses through TAFE are a fantastic system and can work very well. A few of my friends at university did VET courses while still at school and universities are recognising these qualifications and giving credit points towards a degree. And the second group of students are those that are more corporate and management focused or just more suited to a university degree. My experience tells me it is imperative that the correct educational institution is matched to the student. I fell into the trap of choosing a degree at a university that all my friends were going to. I didn’t look into what suited me and hence why I didn’t stay there very long. When I started my agriculture degree off at Sydney University I did this for a number of reasons. It had the highest UAI acceptance, it had the best name, it was exciting and all my friends were there. I didn’t even look into other uni’s because I had made up my mind Sydney was the uni for me. Sadly it didn’t work out for me. What I found was that Sydney unis course focused heavily on research. If I was into laboratory work and research I couldn’t recommend it more highly. It had an extremely high level of expectation and achievement and produces phenomenal graduates. What it lacks is the practical component that I love so much. The first year and some of the second I believe – we are put in classes with the med students and vet students. Us aggies didn’t get UAI’s of 99 so the standard was incredible and for me I wasn’t dedicated enough to really push myself and go through with it. And sadly there many who felt the same. So I transferred to Charles Sturt Uni (CSU) in Wagga and I haven’t looked back since. At Sydney we wouldn’t have done the practical stuff until 4th year but in Wagga we were living within a working property so we were constantly surrounded by it, we lived and breathed it and loved it. 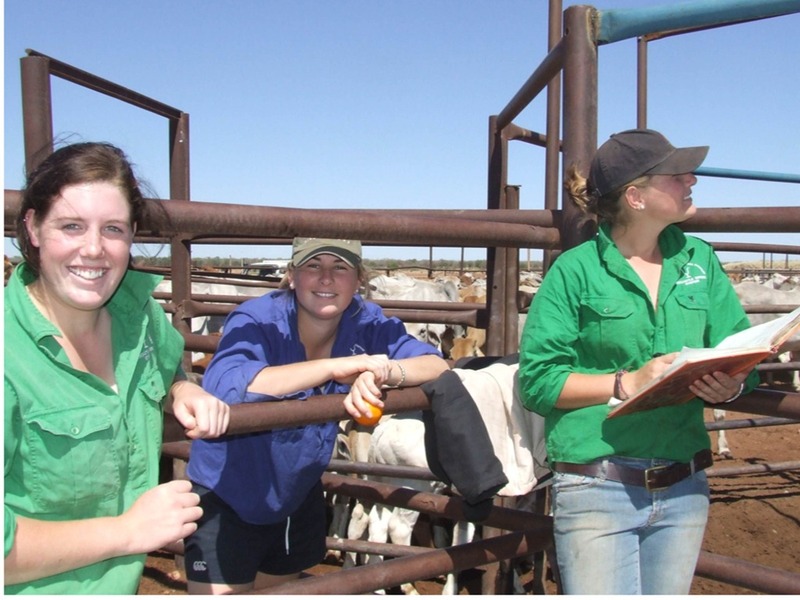 CSU have just started a really interesting element to the agriculture degree. It is now a four year course but in that 4thyear – half the year you are actually employed by an agribusiness. So you are out in the work force experiencing what its like. Which I think is really good especially if you don’t know what area you want to go into – its not so good for those people who do know where they want to be but it will be interesting to hear from the group for 2012 how it is and what they got out of it. The other uni’s on the east coast are UNE in Armidale, Gatton in QLD and Marcus Oldham in Victoria. I have had friends at each of these with both UNE and Gatton and they say similar things to what it is like at CSU. The courses are called slightly different things but basically very similar and hands on. Marcus Oldham is a little different because it is a private university. It’s quite expensive but the courses tend to be shorter and they are jam packed rather than being so spread out like the other uni’s often do. You must have an interest and want to get involved in it or when you start your first job – you are behind the eight ball. I have found that my involvement with NSW Young Farmers Council has helped with my knowledge of the industry, I am more knowledgeable about the issues that are important to farmers in all primary industries and I have a broader understanding of agriculture and its politics in general. 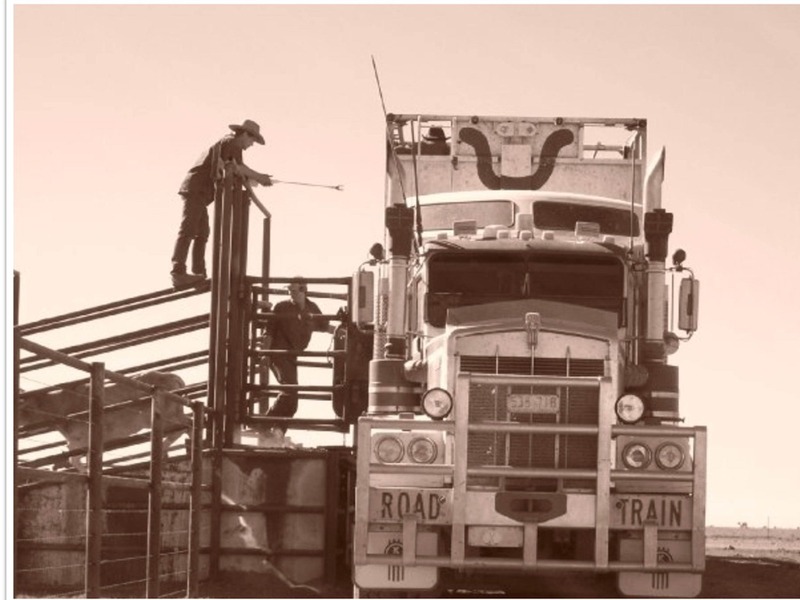 I used to get so frustrated at people in my own course who had no solid opinion about the live export ordeal or what was happening with grains, international trade, the price wars, competing against countries that have large subsidies – I could go on. It frustrated me because they had no interest and this was the industry they were entering into. It is so important to know your industry, to soak up all the info out there and grasp a really strong handle on what is happening and get involved. The way I see it we need to get a broader understanding of agriculture and how it’s related to our every day lives. I love hearing of people who combined degrees. Engineering with agriculture. Architecture with Agriculture. Agriculture with economics. All those people to feed and clothe and house. Innovation and technology – nano, GPS, VRT, GM. I could go on all day saying how I love this industry and how passionate I am – its not just some crazy whim – there is such huge potential, it is incredible and I love it.